Arequipa is well known for its glistening white buildings made from sillar, a white volcanic rock, which gives the city its nickname 'La Ciudad Blanca' or 'The White City'. Arequipa is served by one airport: Rodríguez Ballón International Airport (AQP). 8 kilometers from the city center. The terminal has national and international flights and is the main gateway to the nearby ruins and the Colca Canyon, which is the deepest in the world. The conference will be held in the San Pablo Catholic University. From the airport to your hotel we strongly recommend to take authorized taxis from inside the airport. We will have these taxis at the entrance of our university during the conference. You may also call them from your mobile. 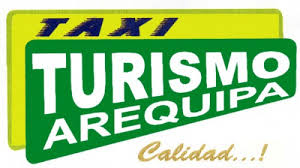 Just download the app: "Taxi Turismo". You will see the same logo.